Entitled the ‘Absolute Essentials‘ kit – the 5 piece set contains the essential brushes which you will need, made of ‘teddy bear hair’ and all contained within a cute pink travel pouch. 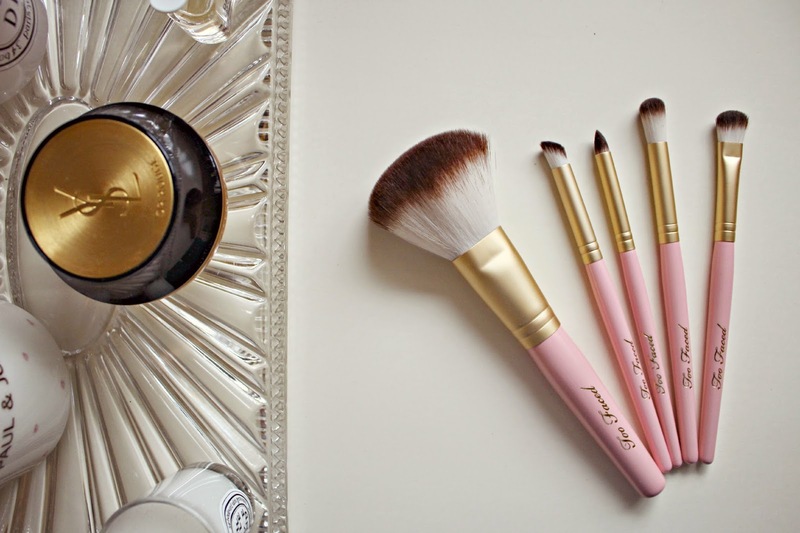 Too Faced brushes were the first ‘proper’ brushes I ever purchased, back when I was probably only about 15 years old, and those brushes are still being used today – so I was confident that this brush set would be worth the investment. 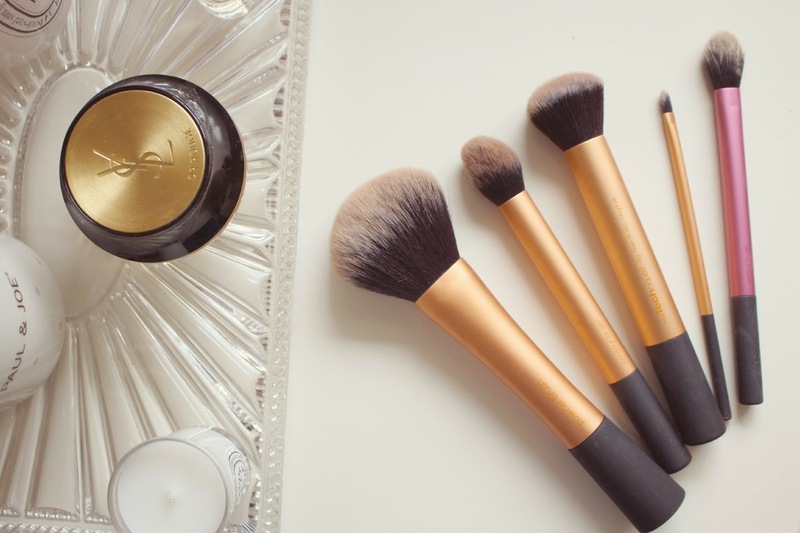 The set costs £60 and each brush within will become part of your everyday routine – whether you need a large brush to delicately pat on your powder, or a precise concealer brush for painting away the shadows under your eyes. The pointed brush is one that I hadn’t tried before, but is now a staple when it comes to lining my lower eyelids with a darker brown shade. 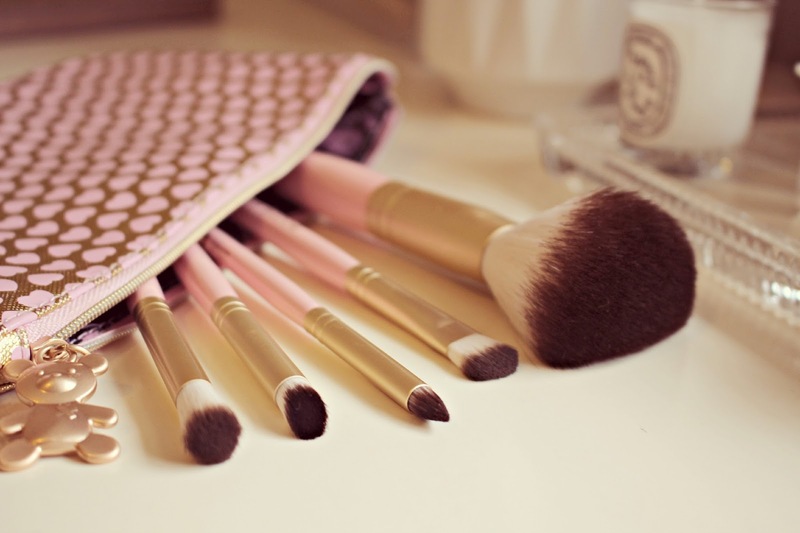 Made of synthetic fibres, the brushes are long-lasting, super soft, and of course there is no harm to any animals. There is even a cute teddy charm on the makeup pouch! A brush post wouldn’t be complete without mentioning Real Techniques, and I do believe that every gal should have at least one RT brush within their collection. I have 5. I think they are fantastic value and perfect when you know you need a certain type of brush for a particular use, without buying a whole kit. 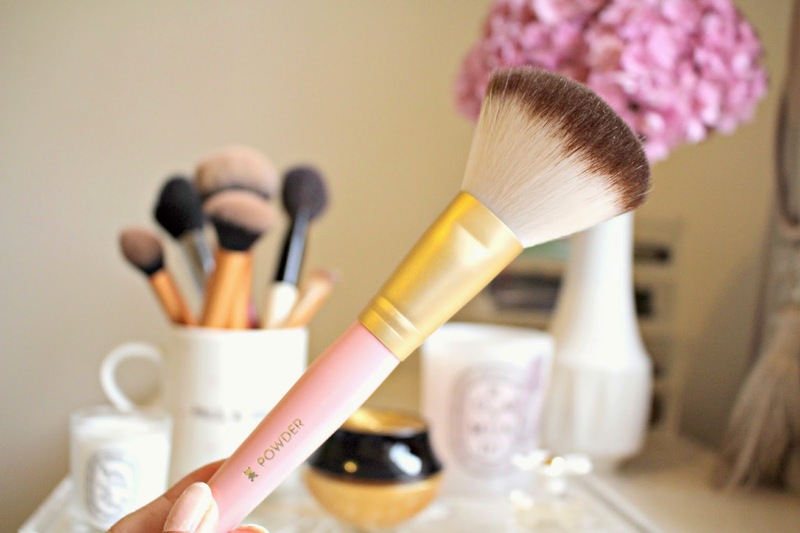 My most used brush of the set would probably be the flat foundation brush – especially as my makeup gets a little heavier over Winter, I find it really useful for smoothing out my foundation to give an all-over even finish. 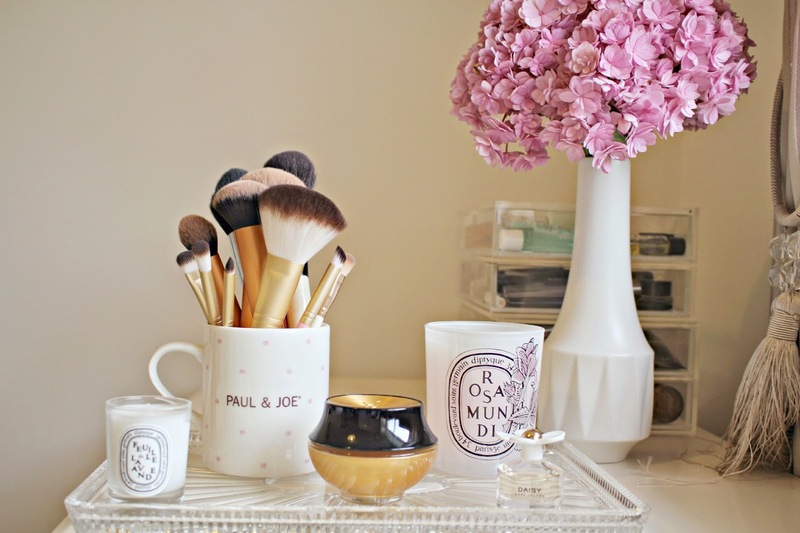 The Too Faced brush set is available online here for £60, and you can pick up the Real Techniques brushes from Boots! What are your favourite Makeup Bushes?